For the 2013 Ornament Swap I made a “Tote Full of Hand Tools”. I guess you have sing the Twelve days of Christmas in your head. I started with the dovetail saw. I had a lot of fun making it and with time to spare I kept on going. Its copied from a Lie-Nielson. 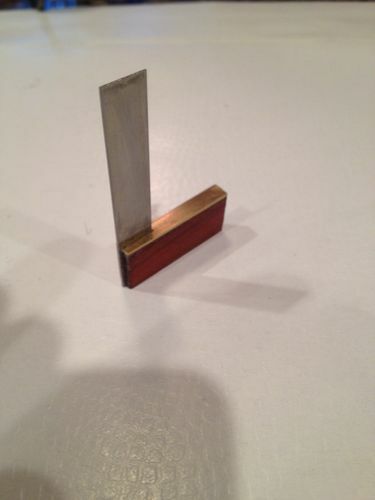 Cherry handle, brass back and the blade is cut from a pull saw. The smoother is made from Leadwood and Sneezewood. Wedge is maple and iron is from a puddy knife. 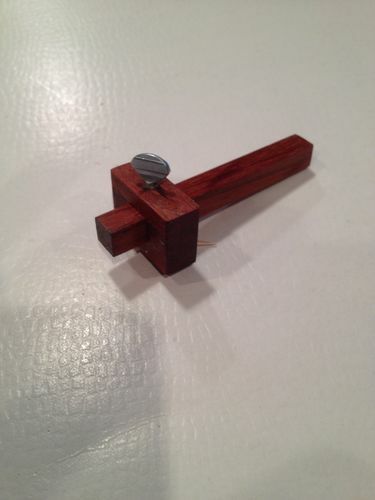 The mallet is white oak, bevel gage, square and marking gage are Brazilian cherry. 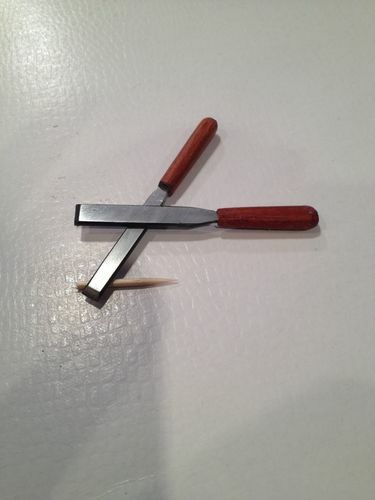 Chisels are heat treated W-1 with B-cherry handles. The ornament went to Danpaddles. Pictures of the square, marking gage and chisels. Dan you are demonstrating mad skills on this. Somebody is very lucky to get this. Great work. Very cool build…you have done an awesome job. They are dead out wonderful! I love them all, especially the saw. Wow, didnt see that coming, amazing…. Nice tool, nice tool box. I never knew that dollars are so big ;). Love it.